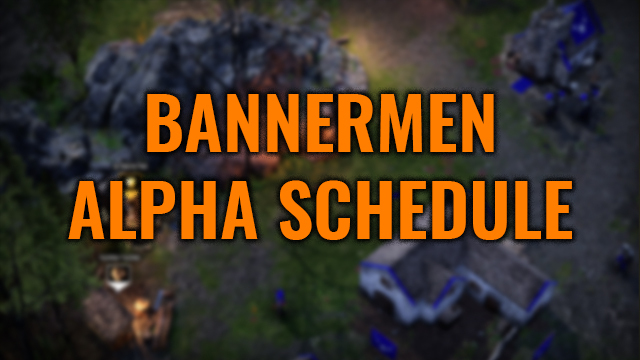 Today we have announced the first schedule for the upcoming Bannermen multiplayer alpha tests on our discord channel! The tests will be held on Steam during weekends and are divided in to at least three sessions, where we test the tier 1 units/buildings/upgrades in the first test, unlock tier 2 in the second test, and unlock tier 3 in the third test. The first weekend will be June 2-3. As previously outlined, the tests will be multiplayer only, and that's one of the main reasons why we want to gather you all on discord - so that you fairly easy can find opponents. Til full release, we will implement a match-making system, but during the alpha we will only have custom games where you have to invite each other through links.